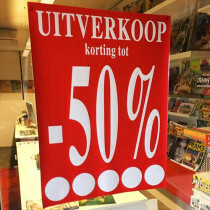 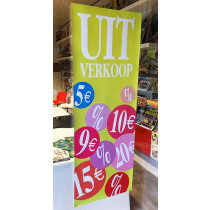 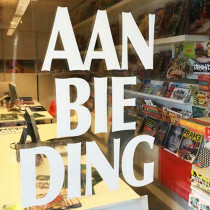 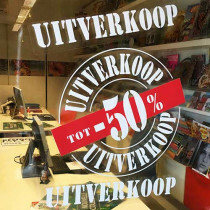 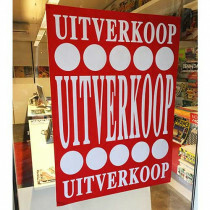 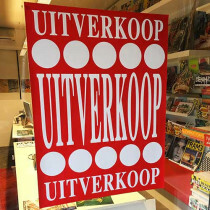 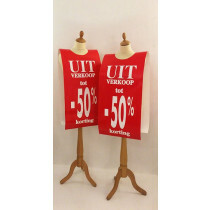 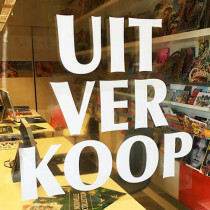 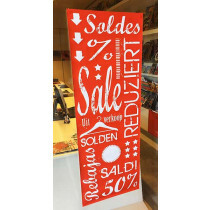 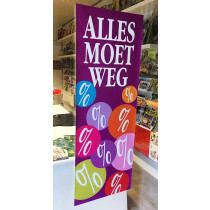 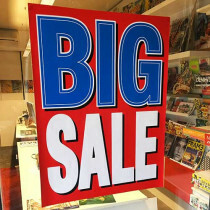 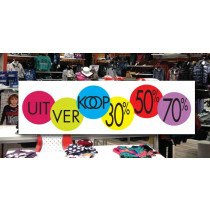 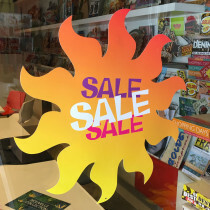 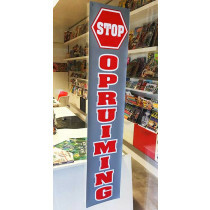 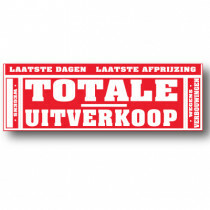 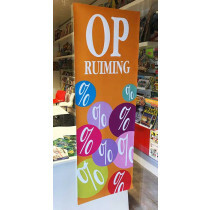 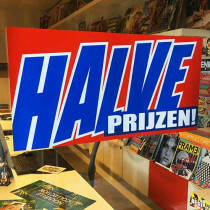 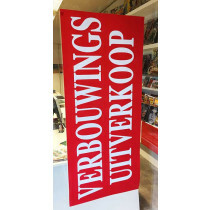 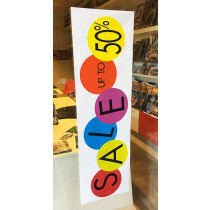 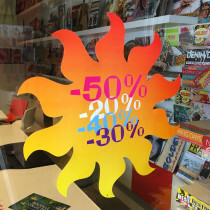 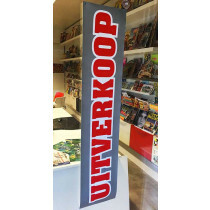 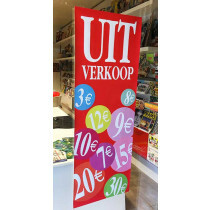 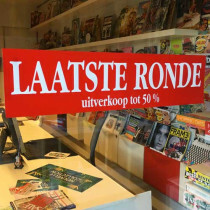 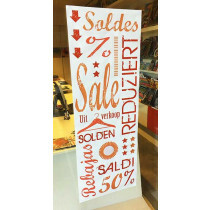 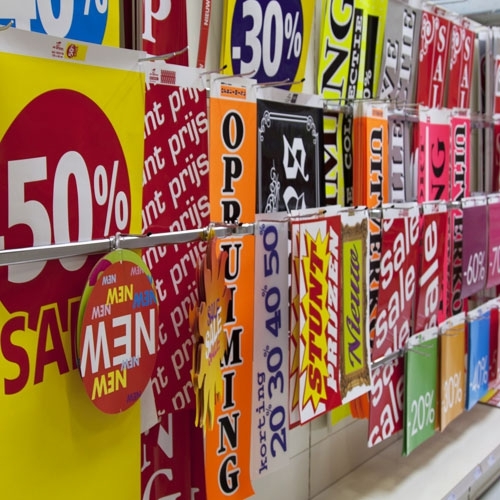 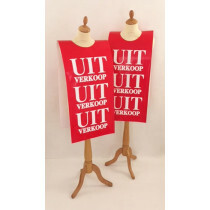 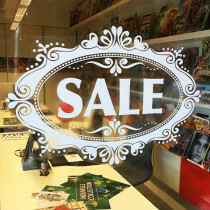 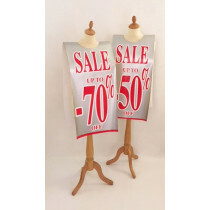 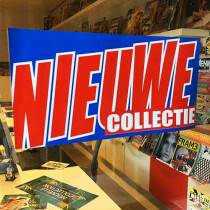 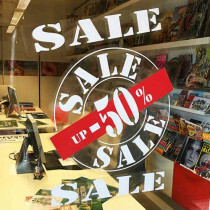 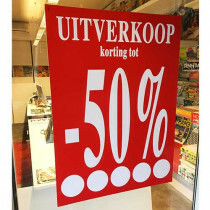 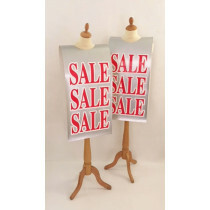 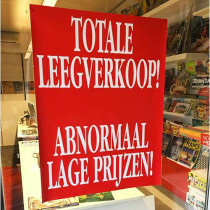 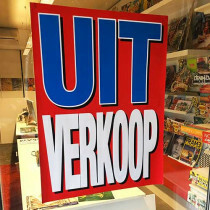 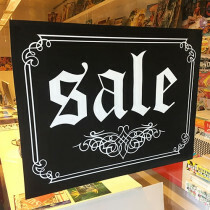 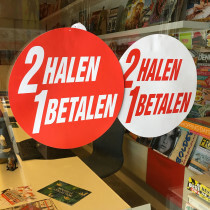 Grote affiche, TOTALE UITVERKOOP, 176 x 60 cm. 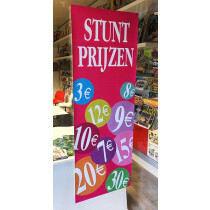 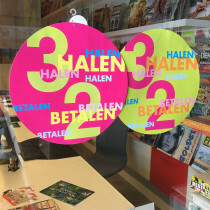 Poster LAATSTE RONDE L82 H20 cm. 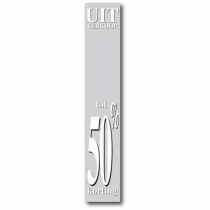 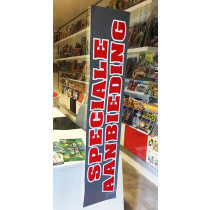 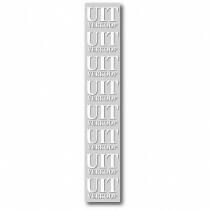 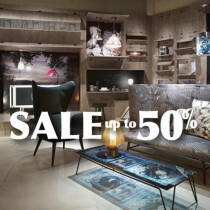 Poster "SPECIALE AANBIEDING" L115 H25cm.